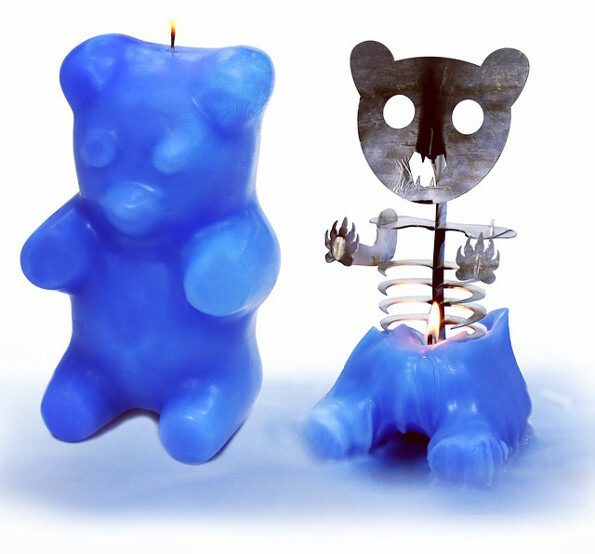 Meet the Gummi Bear Skeleton Candle. It’s a 3 pound, 100 hour candle shaped like a Gummi Bear that reveals a creepy skeleton inside as it burns. Cool! Head over to the Kickstarter page and donate if you’d like one of your own. Yeah, you’ve got a good point there — who wouldn’t want one? We’re human after all. Except, of course, our cat readers. We got love for you, too. Woops! What I meant to say is meow meow meow meow meow. Thanks to Robert for the tip. He’s the creator of the product and, hey! Do a Sour Patch Kid version next?